Picking an affordable wedding centerpiece just might be the most difficult thing you'll have to do while planning your wedding. So let me help you save a fortune with these wedding centerpiece ideas. The best way to cut down wedding expenses is to pick things that double up, such as a centerpiece that can also be your wedding favor. Some ways to do this is get boxes that match your wedding colors and fill them with candies or something special and then stack them in the center of the table, use little lanterns in your centerpiece and allow your guests to take one home or even use small potted plants and let your guest care for them at home. Also something that will work as two is using a centerpiece that is filled with food. You can serve your guest rolls and have meats, cheese and condiments in the center of each table. My personal favorite is to put out little deseret trays for your guests to snack on. This will give them something sweet to snack on so they don't want much cake if any at all, this way you save on the cake since you will only need a small 2 tiered one. 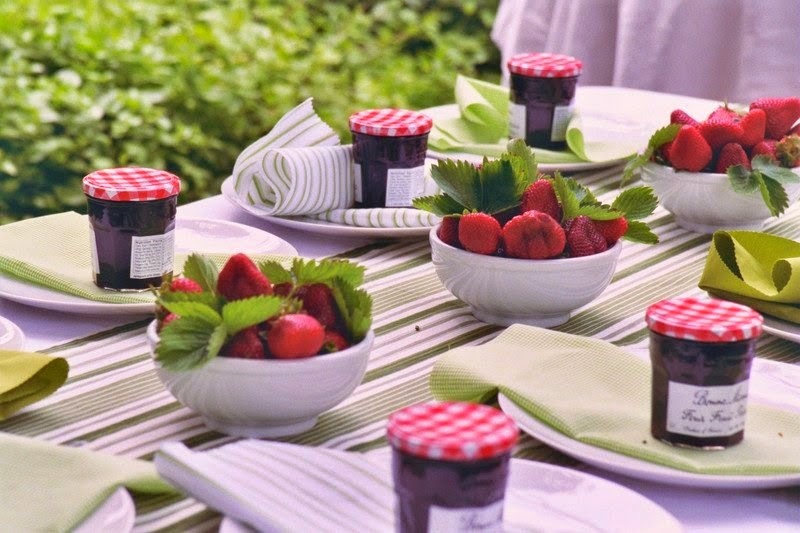 If you're having a summer wedding then put a fruit bowl in the center that can act as either a side dish to sliders or as a deseret that you serve whip cream with. 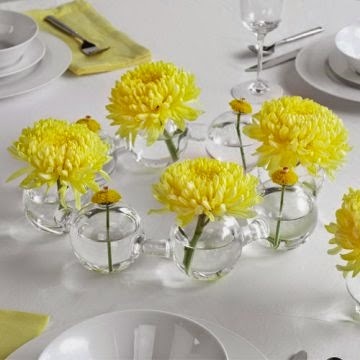 Fill vases and bowls with something unusual but colorful. Marbles, rocks, beads, buttons, confetti, etc are great ideas. You could also do candy such as mm's, runts, or even hot tamales. If you have a wedding in the fall then look outside and find things like leaves, twigs and flowers to create a different masterpiece for each table. Flowers are usually seen as expensive but if you choose flowers that cost less and use more greenery then you can have a floral centerpiece. You could even choose to use a single rose and surround it with ribbons and candles. 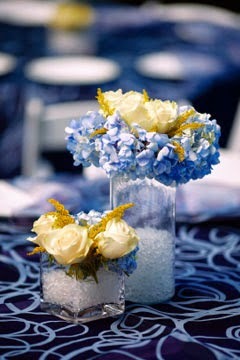 Or do an arrangement that is short and uses large headed flowers, where you will only need 4-5 flowers at each table. Candles can be a really inexpensive centerpiece and you can do so many different things with them. You can place a pillar in the center of a mirror and then surround it with little tealights, butterflies or ribbons and flowers. You can use tapers and place them inside of fruits. You can also use tapers inside of wine glasses that you have filled with flower petals, rocks, glass beads or anything you want. You can do floating candles in a bowl with or without other decorations. I've also seen people use mason jars in various ways to cut back expenses. You can use them as vases for flowers or placing a candle in them. I've also seen people use the pint size to hold one floating candle, then they put glass beads at the bottom and place 3-4 on each table. I hope these ideas have helped you on your quest to save some money on during your wedding.